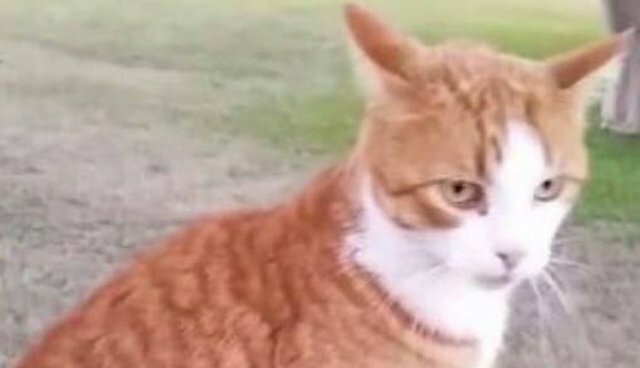 Tiger, the cat who was shot and killed with a bow and arrow last spring, has become known around the world as a symbol of animals everywhere deserving justice. While nothing can bring Tiger back, people have come together since his death to fight for justice in his name and to honor the life he lived on earth. A breathtaking memorial to Tiger was erected in Los Angeles this fall. FixNation, an organization that works to spay and neuter stray animals, commemorates the lives of deceased cats at the Dia de los Muertos festival at the Hollywood Cemetery each year. Built entirely by dedicated volunteers, Tiger's memorial featured a painted portrait, surrounded by fresh marigolds. Portraits of other cats surrounded Tiger's likeness, peering out among the blossoms. Even Cecil the lion numbered among the many faces. "How amazing that something so beautiful can come out of such a tragedy," one person observed on Facebook. Though the memorial stands for the heartbreak and injustice of Tiger's plight, it also manages to stay colorful, celebratory and positive. "I am not sure, but were all these cats' lives lost to the evil of humans?" one commenter on Facebook asked about the many framed portraits of cats featured along with Tiger's. "No," Tiger's Justice Team News Page replied, "they are all cats who were loved here on earth." Learn how you can help FixNation help stray cats by clicking here. Learn what you can do if you see animal cruelty on the internet here.